In a sector that has seen introverted evolution during the past 30 years, electronics manufacturing sees the emergence of Industry 4.0, with issues behind it that makes significant change to the PCB electronics industry inevitable. Looking at the whole supply and demand chain and the changes that need to be made, starting with customers, to understand what their demands are, how they want to behave and what benefits or changes Industry 4.0 will bring to them, poses a number of questions. Does Industry 4.0 represent a fundamental change in what is being done, or is it simply an improvement of what has been there before? Is there a real driving force behind Industry 4.0? If not, then this may qualify only as a ‘story of the month’, or even year, but then ultimately fade into memory. Is the timing right? Industrial revolutions do not happen overnight, but there still should be a recognizable trigger. Is there a key issue, or combination of issues that make this revolution inevitable, now? What is present today that has not been there before? Does it affect everyone? In past industrial revolutions, it was not only the people who invented and operated some new machinery that were affected. The effects went a great deal wider than the industry itself. The whole supply chain of goods was re-written. Industries physically moved locations. Fortunes were won and lost. Ordinary people’s lives were changed, whether as owners, workers, and above all, customers. To qualify as a revolution, the world will need to be changed. What cannot be denied is where the market has been moving inexorably toward. Product depreciation in the post manufacturing distribution chain has slowly but surely become more significant. The whole distribution chain has been gradually shrinking; until today, where in some cases, it has disappeared altogether driven by, in effect, direct shipping from the factory to the customer. This area seems to be the primary motivation behind Industry 4.0, which already has lead factories to gradually shorten production lot sizes and increase the effective mix of products. While doing so, however, productivity, especially in the SMT sector which is heavily influenced by material setup changes between products, has suffered. A good starting point for an investigation into Industry 4.0 for electronics is to understand the market forces that have now come to a critical point where manufacturing needs to make what ultimately is a business decision as much as it is technical. The challenge that Industry 4.0 needs to resolve is how to provide people with the flexibility in their choice of products, but, without the crippling effect of the ‘build to order’ lead-times, as persist for automotive. 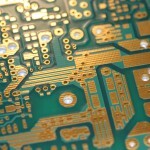 The symptoms of this issue have been there and growing for electronics manufacturing for many years. As product life-cycles shorten and product variation increases, meeting the increasingly fashionable customer demand patterns, delays in the distribution of products after leaving factories become much more significant. The pain from this is felt significantly as the inevitable depreciation in the value of the goods sit in the various warehouses or on container ships. 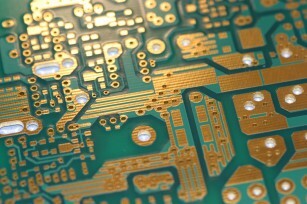 The more competitive electronics manufacturers often adopt the ‘hit product’ strategy. A hit product is usually one with the latest significant technology or feature advancement, supported by an intense marketing campaign, making the product an instant ‘must have’. Getting this out into the market very quickly, ahead of potential competitors, affords a window of opportunity where people will be willing to pay a premium price. This short period is when the vast majority of profit can be made. Very quickly, competitors come along with what is perceived as a better product, and demand dies almost immediately. Significant losses can then be incurred as the value of the stock of the many variants of the hit product, throughout the global distribution chain, are slashed. The critical factor for success is to shrink the distribution chain to its absolute minimum. It is for this reason that popular products such as mobile telephone handsets are shipped from China by air to any customer worldwide. The cost of extreme transportation is less than potential depreciation, considering product life-cycles of sometimes just three months, itself shorter than the time it would take just to ship the product by sea. The result of diminished or non-existent distribution chains can be crippling for factories. Short and medium term forecasting by ERP is essentially compromised. Factories face not only a higher mix of products, but also almost daily quantity changes. How can the factory, especially in an SMT situation, meet the rapidly changing demand without significant productivity loss, or, having to resort to building stock? Short-term demand changes are not a new thing to many factories. In the past, this kind of demand-pattern management occurred often when a product approached its end of life, especially for OEM manufacturing operations. When going through the traditional ERP sales-order planning process, there is visibility of current raw materials, the current high-level site production plan, the quantity of stock in the factory and, significantly, in the distribution chain. The sales organization is then asked to make their forecast of sales going forward. This is the complete set of information that the ERP organization needs to create the next factory plan and have MRP order the materials. Among the many variables in this process, however, one of the most significant is communication during the sales forecasting process. Disagreement between marketing and sales people becomes more pronounced as the end-of-life stage of a product approaches. Marketing can influence product demand through advertising and pricing over the medium and long term. Although the effects of these activities for larger companies can be quite precise in terms of market demand control, other strong influences are competitive products entering the market suddenly and customers’ expectations about future products and technologies. Toward the end of life of a product, these influences make sales people very nervous. Motivated by commissions and sales target achievement bonuses, they will not commit to numbers if they feel those predictions carry risk. An example is when LCD monitors became affordable in the market several years ago. The sales team of a certain maker of CRT-based monitors got nervous, seeing the new cheap LCD monitors being offered for sale. As a result, sales reduced their forecast significantly. Because of the large volume of CRT monitors in the distribution chain, the ERP logic decided that no new CRT-based monitors needed to be manufactured, and so they were not included in the next factory plan. The factory staff had no warning of this decision and had many dedicated lines to CRT monitor production; as a result, they were at a loss to know what to do. Jobs were lost, people were laid off. Three months later, the sales people found that the quality of the new cheap LCD monitors was less than people expected, which resulted in a continuing reasonable demand for CRT monitors. At the next run, the ERP logic noticed the up-turn in the forecast and that stocks in the distribution chain were depleted, so it made a maximum order for CRT monitors to the factory. Management at the factory was again caught unawares. The CRT lines were still in place and the key materials were still in the warehouse, but there were no people, and, it was summer vacation time. The result was that the site had to remain open over the vacation and bring in huge numbers of temporary staff, so much so that there were even some wearing security tags on day-release from prison. Anyone could get work at that time. The cost in employees and quality for the factory was extreme, however. This is how ERP and sales forecasting together traditionally has been working, seemingly amplifying the natural fluctuation of demand into an almost square wave ‘boom and bust’ demand pattern for products near to end of life at the factory. Had the factory management seen the actual fluctuation in demand, they would have had time to adjust the lines and the delivery rates; and, it was later calculated, the business would have remained profitable. This is an example of the reality and pain for the factory when faced with demand fluctuation. Interestingly, at the same company sometime later, another computer peripheral reached the end-of-life stage. In this case, the product manager took matters into his own hands, and through extensive effort, planned production based on actual customer demand. The result was that, although the business volume slowly decreased, it ended up being a ‘cash cow’ for the company, as competitors in the market pulled out leaving all the remaining opportunity to this one company. This ‘end-of-life’ scenario is now becoming the every-day scenario. The reduction of the distribution chain, the speed of technology change, the shorter product life-cycles, and the multitude of product variations now bring this issue to the factory every day. However, the current ways of dealing with variation, while perhaps acceptable for a short period at the end of life of a product, cannot work well on a continuous basis. If the factory can manage the short-term demand changes, and the marketing people are looking after the longer term demand profiles, then far greater operational performance can be achieved. The ERP organization still needs to be at the center, materials still need to be ordered, and the overall site operation still needs to be planned. The short-term deviations are what to be addressed. These are acknowledged and essential principles that form Industry 4.0, and now we know why.